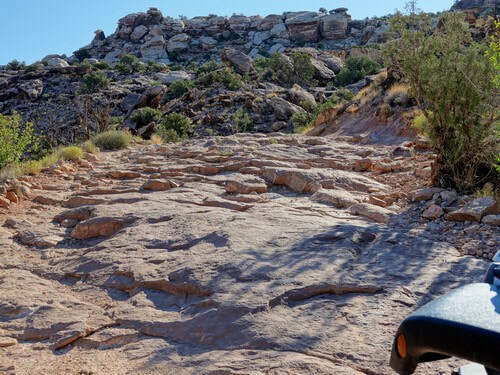 This is a pleasant, scenic family trail, but inexperienced drivers will have a chance to be amazed at what their vehicles will do. This is a weak 3.0 trail starting on US 191 then climbing northeasterly over a ridge and dropping into Salt Valley. 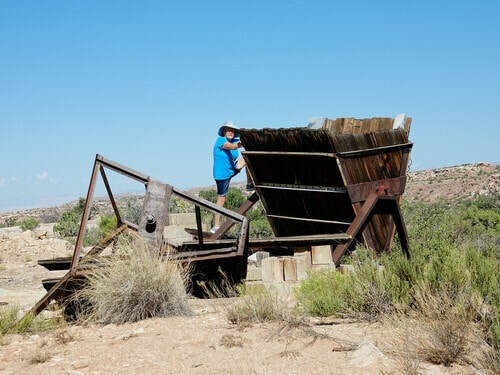 You will visit an old mine, Klondike Bluffs and Tower Arch. Also some minor rock crawling. 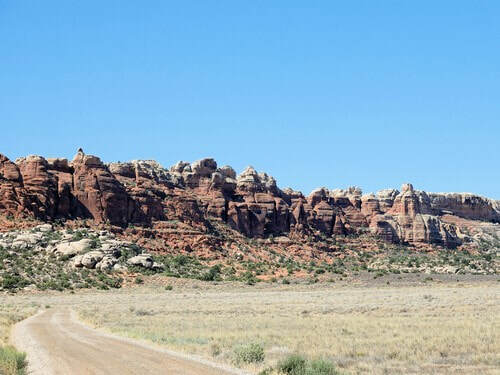 Return to Moab via Arches National Park. 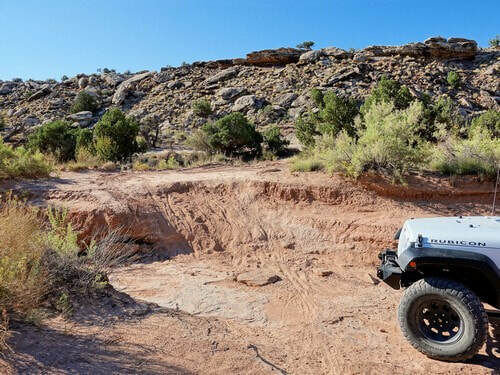 The trail leaves US 191 and heads northeast through a maze of other Jeep trails and bicycle paths. Follow the gpx track closely. 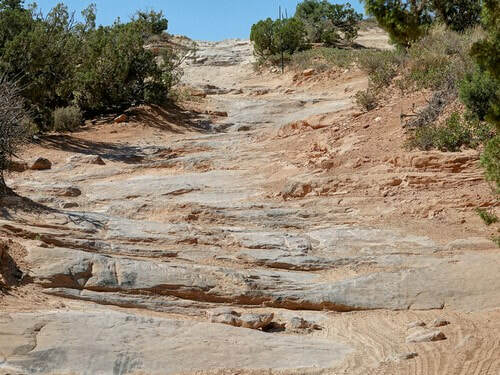 In 2017 there was a steep sandy bank climbing out of a wash, as well as numerous ledges and boulders. This first section of the trail is rated 2.5. 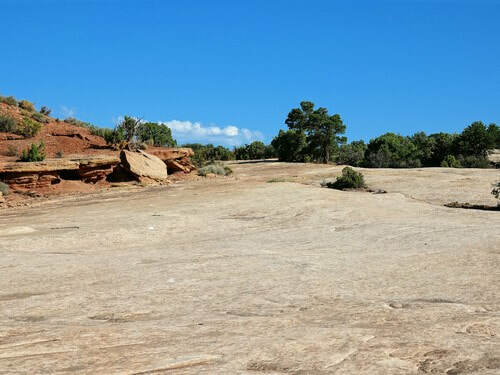 4.5 miles into the trail you will break out onto a large area of slickrock with the trail indicated by white paint marks. 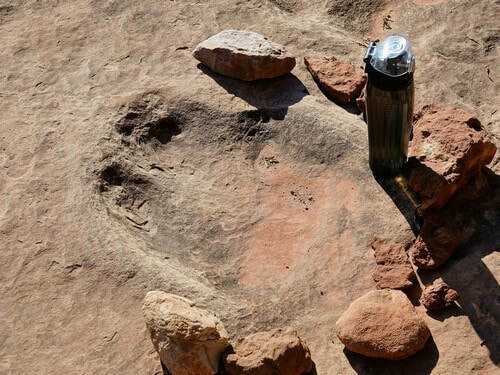 The next quarter mile has many dinosaur tracks, most of them surrounded by rings of stones. 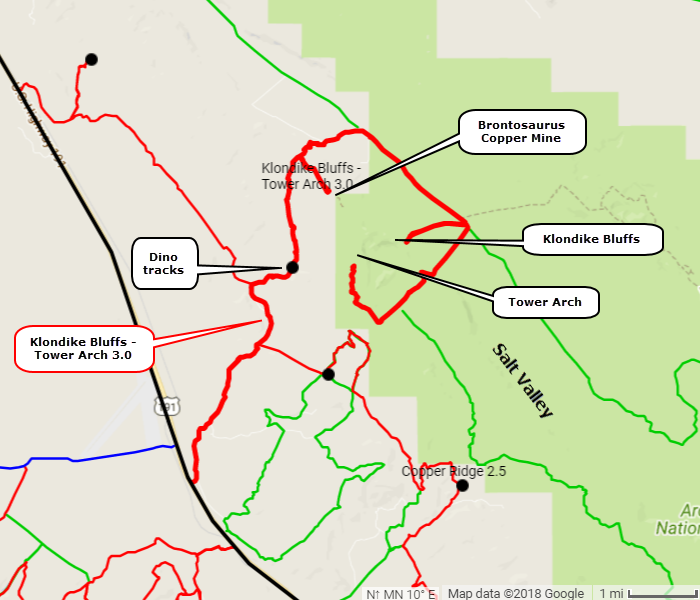 There will soon be a spur that takes you to the remains of the Brontosaur Copper Mine and a hike to view Klondike Bluffs inside the Park. 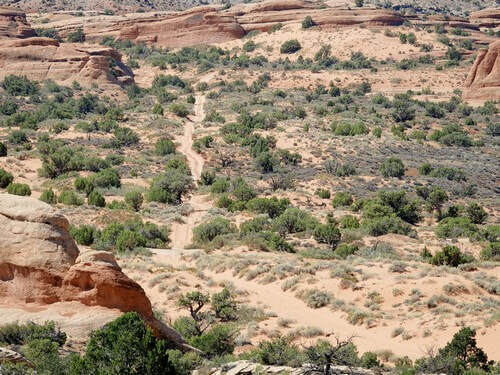 This view is not as good as you will get by continuing on the track to Tower Arch. 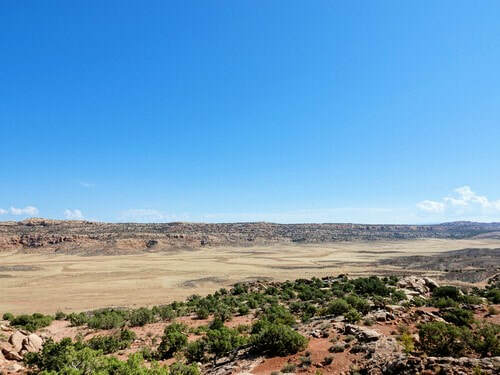 Return to the main track and climb to a ridge with a view of Salt Valley. The descent down into the valley has more ledges and boulders but still stays at the 2.5 rating. Head down Salt Valley and Klondike Bluffs will be on the right. A spur leads to a hiking trailhead at the base of the bluffs. 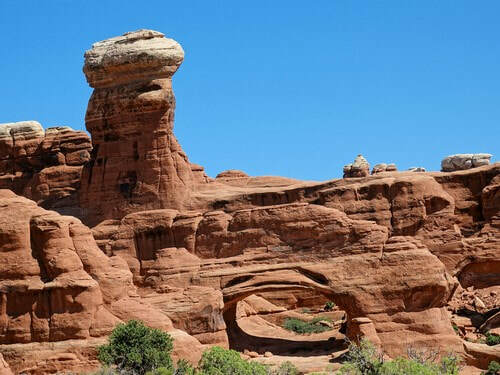 Turn toward Tower Arch and you will begin a fairly long series of ledges. I rated this section of minor rock crawling a weak 3.0. The ledges continue over the same ridge you crossed before dropping into Salt Valley. There is a good view of "Marching Men" as you drop down the far side. The road has more sand and less ledge as you near the arch. 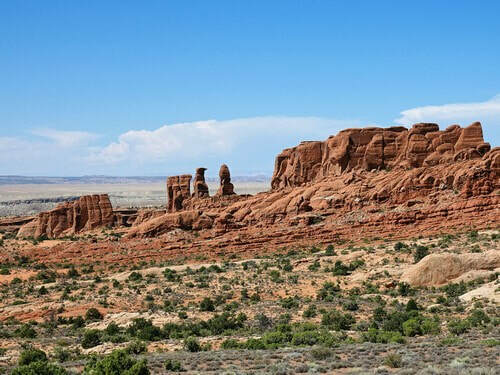 After visiting the arch you can return to Moab through Arches National Park by (1) returning to Salt Valley and going southeast or (2) following what the Park calls "4 Wheel Drive Road" southeast to Eye of the Needle.